Disney’s live action “Dumbo” is set to fly into Philippine cinemas next week, March 27, with a new, fantastic take on the beloved animated classic. While many kids and kids-at-heart are familiar with Dumbo’s inspiring tale, the live-action version is adding more dimension to the film with a fresh story and new characters. With all these exciting changes, here are some fun facts to know about the film before the lovable elephant swoops into the big screen! 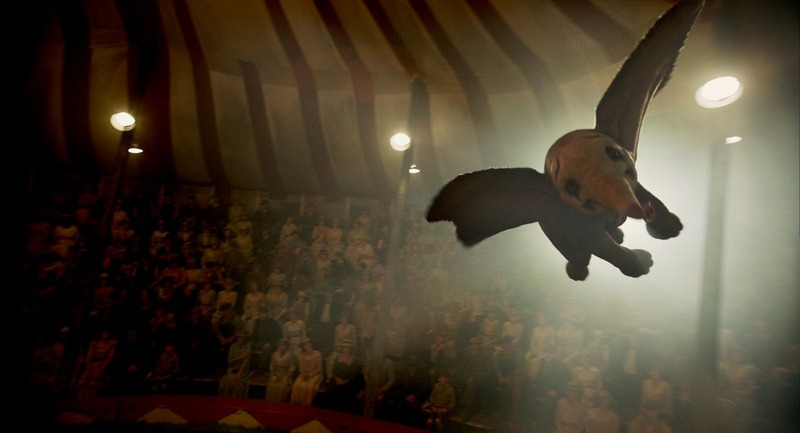 As Disney reimagined the animated film into live action, many fans eagerly anticipate what Dumbo would look like in the new movie with the magic of computer-generated imagery. The studio was able to bring to life the adorable flying elephant. The team behind the elephants’ animation pushed available technology to the next level, adding sliding skin, flexing muscles, and jiggling fat to give the animals a sense of mass. 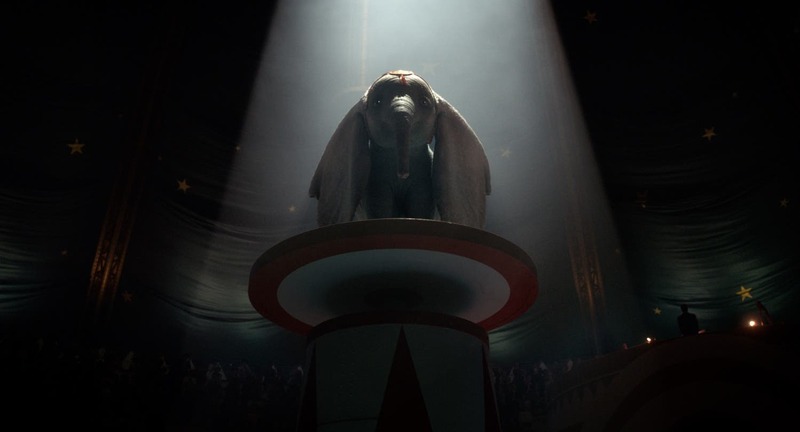 The film also utilized state-of-the-art visual effects to portray many of Dumbo’s four-legged counterparts. For the cast and filmmakers to be fully immersed in Dumbo’s magical tale, the production team built as much of Medici Bros. Circus and Dreamland as possible to ground the story in the environment. One of the most fascinating things built for the set was the tank which housed Miss Atlantis. The tank was constructed with double walls – a narrow internal tank that lined the bigger tank was filled with water and fish to create the illusion that she was underwater. Director Tim Burton and the production team wanted to honor the 1941 animated film, and throughout the movie, there were elements which pay homage to the original version. 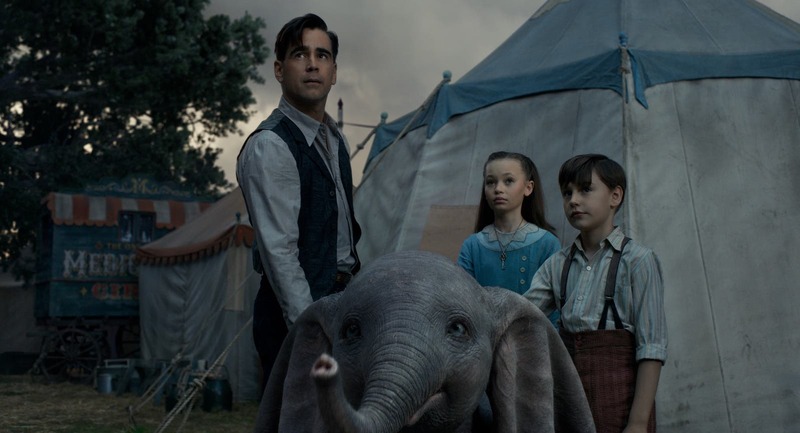 In the film, Milly and Joe, the two children who take care of Dumbo, have a little mouse – a nod to Timothy Q. Mouse in the animated movie. 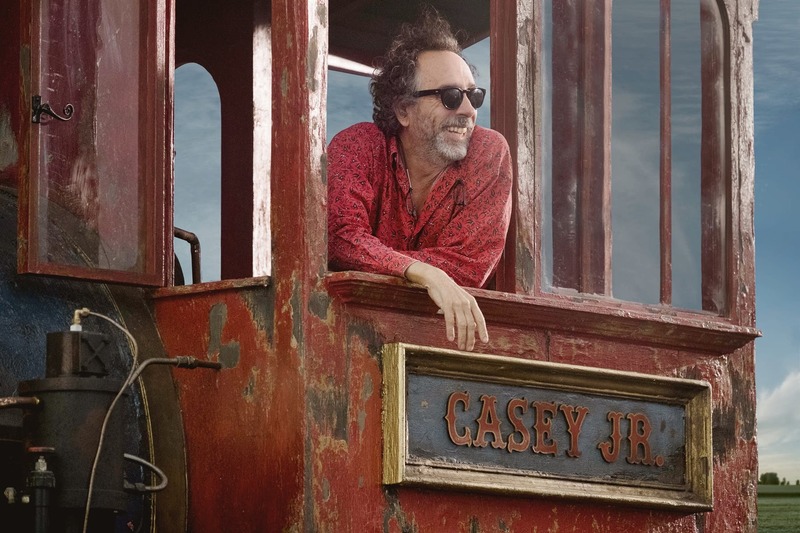 Another nostalgic nugget in the film was the Casey Jr. Train which the filmmakers constructed full-scale. However, since the Medici Bros. Circus is far from new and shiny, the train had to be aged with chipped paint and wear and tear to aptly reflect the state of the circus. Just after the release of the trailer, many viewers already got excited with the visual spectacle they caught a glimpse of. To achieve the stunning look and feel of the movie, the filmmakers paid pain-staking attention to every detail of the film, including the costume design. 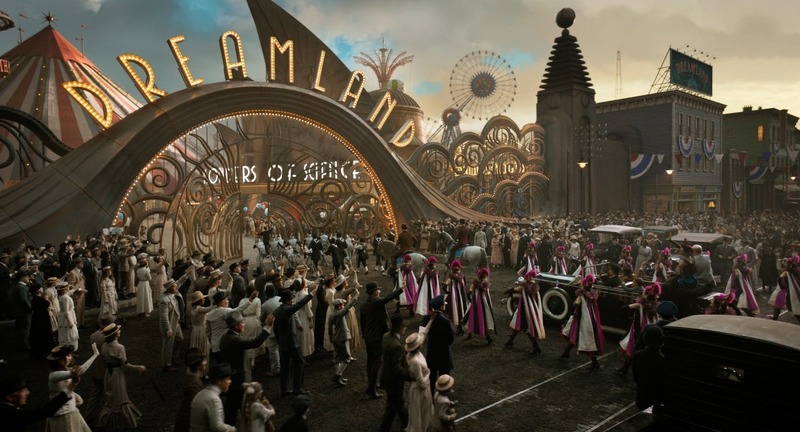 With circus performers known for their extravagant costumes, the film’s costume designer, Colleen Atwood, and her team created intricate costumes to help the cast get into character. Miss Atlantis’ costume consisted of more than 100 overlapping scales, which were hand-stitched. Alternating rows of black and turquoise, the scales were constructed from three to four layers of fabric with sequin borders to give each scale a reflective quality. For Dreamland’s parade sequence, Atwood’s team created more than 200 costumes for the performers, plus an additional 500 for the crowd characters. Filmmakers felt strongly about featuring real circus performers to keep authenticity. Fourth-generation circus performer Kristian Kristof from Hungary was hired to share not only his extensive knowledge of the industry but also his international connections. The result was a diverse array of performers, including jugglers, clowns, knife throwers, contortionists, and more, hailing from all over the world. The significant language barriers made it difficult for the performers to connect—that is until they set up a Ping-Pong table. 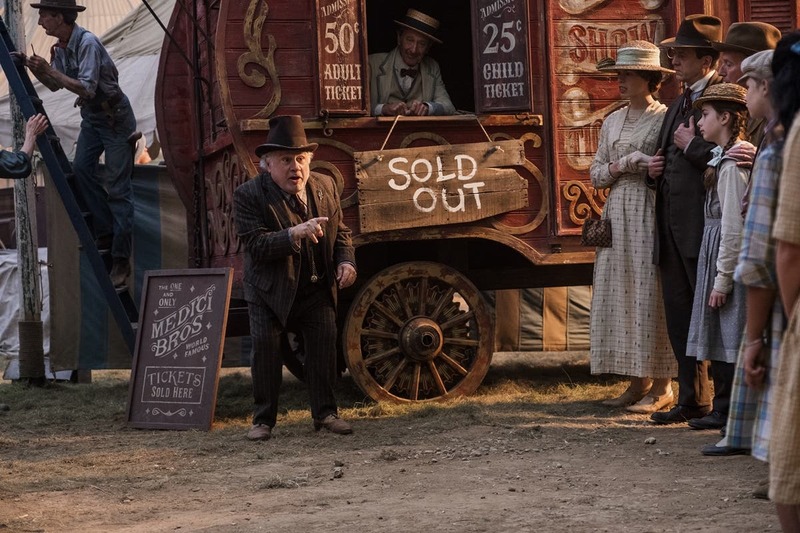 With the film featuring authentic circus performers, the main cast also fully embraced their roles which came with a few challenges at times, especially Eva Green, Colin Farrell, Sharon Rooney, and Roshan Seth. 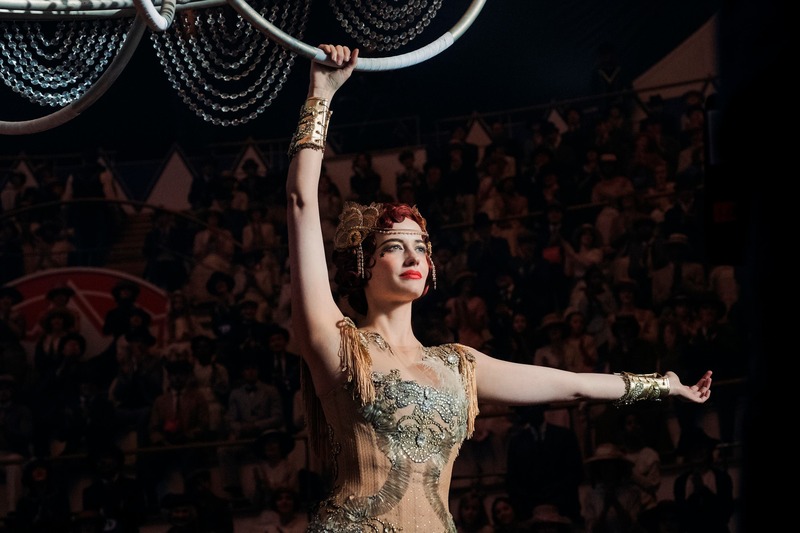 Portraying aerialist Colette Marchant was difficult for Eva Green as she came into production with a serious fear of heights. Personal trainer and aerialist Frances Haynes was hired to double for Green as needed, and worked with the actress to build her confidence in the air and help her attain the physique and fluidity of a performer. One of the strategies employed to build strength and elegance was ballet. In the end, Green conquered much of her fear and was able to perform a lot of the choreography. Colin Farrell is no stranger to horses, having appeared in several films that required extensive horse riding (“Alexander,” “Winter’s Tale,” among others). But when the “Dumbo” script described his character as a former circus star with a popular equestrian act, Farrell trained with a lasso and horse-riding instructor. Many of the cast learned plenty of new skills during filming including Sharon Rooney, who plays Miss Atlantis, as she learned how to play the ukulele for her rendition of the iconic song, “Baby Mine” – a song lovingly sung to her by her grandmother as a child. From Disney and visionary director Tim Burton, the all-new grand live-action adventure “Dumbo” expands on the beloved classic story where differences are celebrated, family is cherished and dreams take flight. “Dumbo” opens in Philippine theaters on March 27, 2019. Join the conversations online by using the hashtag #DumboPH.